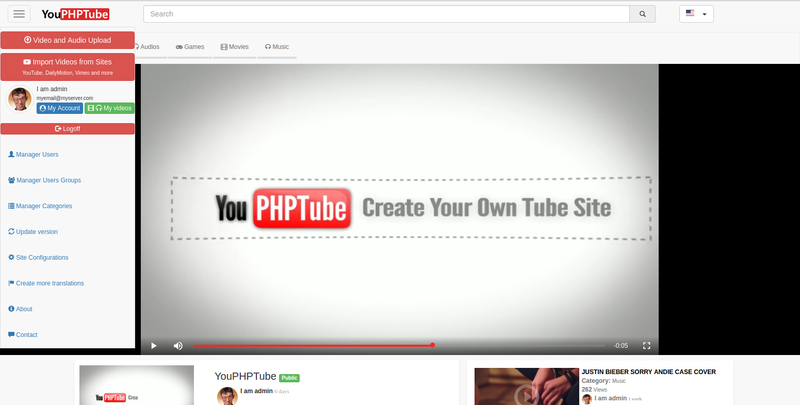 YouPHPTube (YPT) is an open source solution that is freely available to everyone. The idea came from the need to disseminate videos with sensitive content using the internal, network infrastructure of an institution. Soon the idea grew and took up space on the internet, as an alternative to itself to replace, in a distributed way, the great video sites like: YouTube, Vimeo, etc. 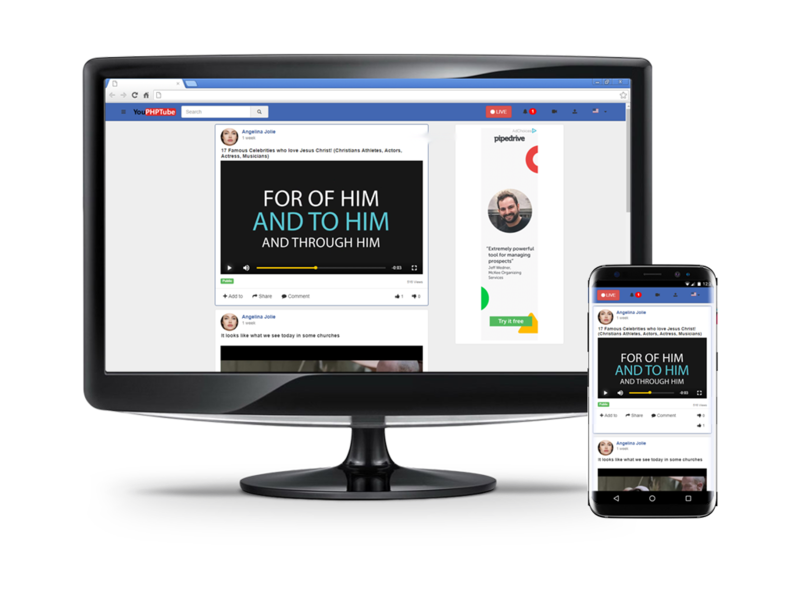 With YouPHPTube, you can create your own video sharing site as well as stream live videos, always inspired by the latest technologies. 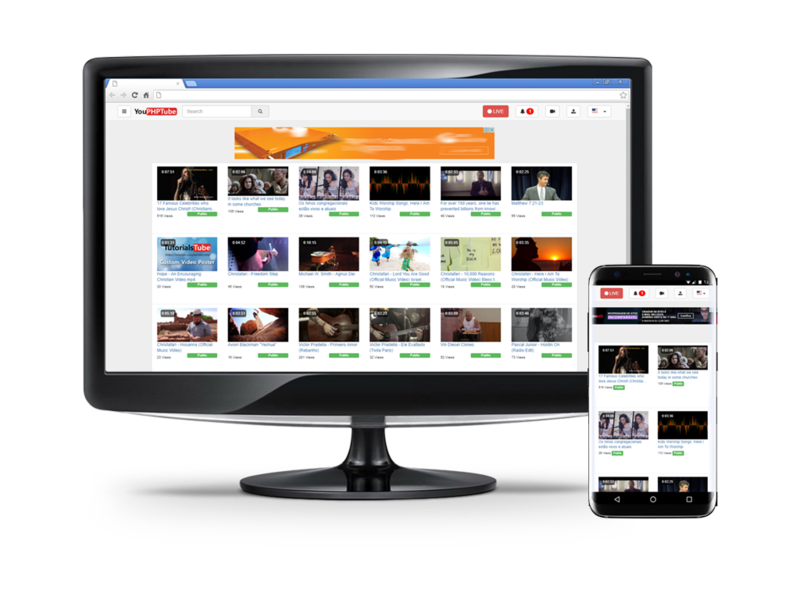 Among some of the features, YouPHPTube allows you to import and encode videos from other sites directly from the Internet, as well as support for mobile devices, through the responsive layout of the site or through a hybrid application that allows you to directly view and stream videos of your phone. You can reach your audience live by taking advantage of live streaming on YouPHPTube. Download videos from YouTube.com and a few more sites. 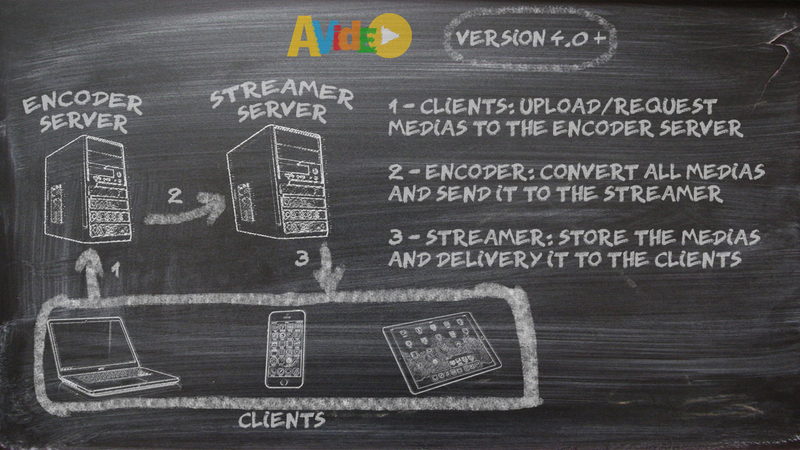 We transcoding multiple formats of multimedia files to MP4, WebM and MP3 files also we can create video spectrum from. 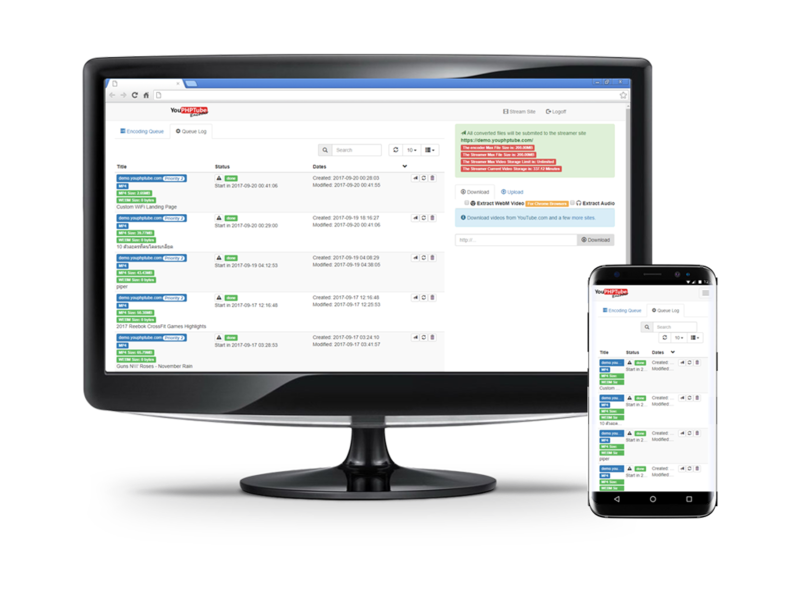 S3 (Simple Storage Service) is a fully scalable, fast and reliable service where it is a pay-as-you-go sevice, making it very attractive for start-up, agile and lean companies looking to minimize costs. A fluid grid system that automatically adapts your website to mobile devices including smartphones, tablets and desktops. 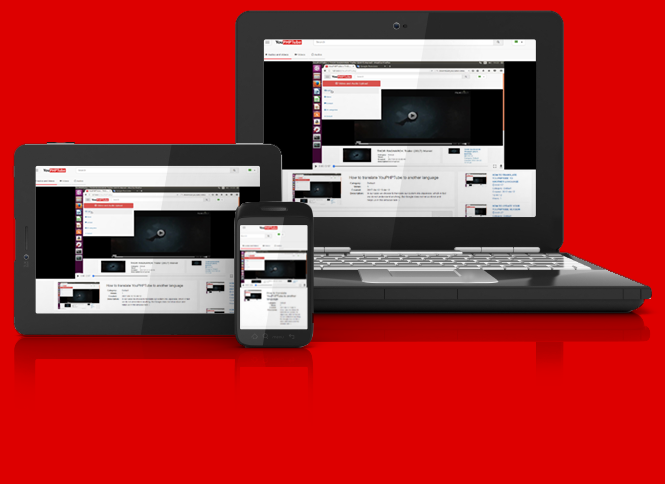 Your YouPHPTube looks incredible on any device. 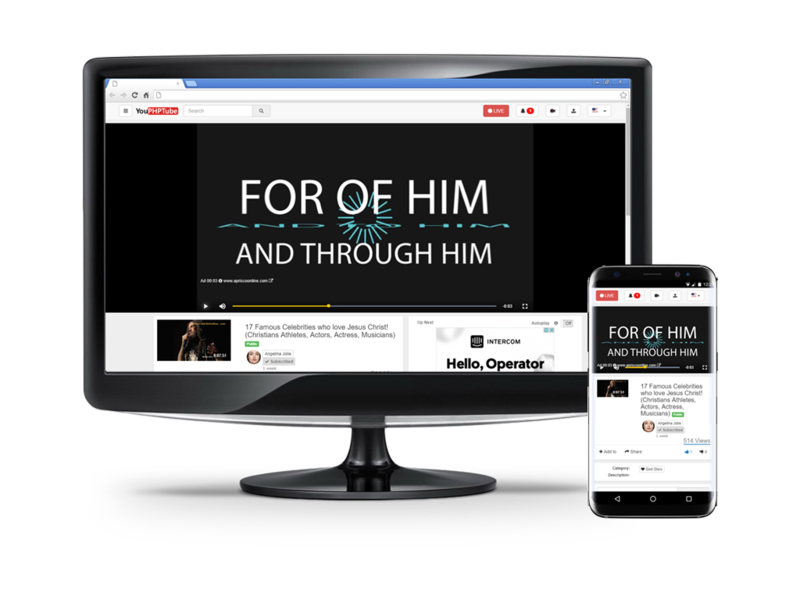 It is a divisions designed to display a short personal description, thumbnails of videos you've uploaded, and your playlists. Is to organize your videos into groups or themes to make it easier for you and your viewers to find the content they enjoy most. Subscribe to channels you like to see more content from those channels. You can monitor the performance of your videos with up-to-date metrics and reports in YouPHPTube Statistics. 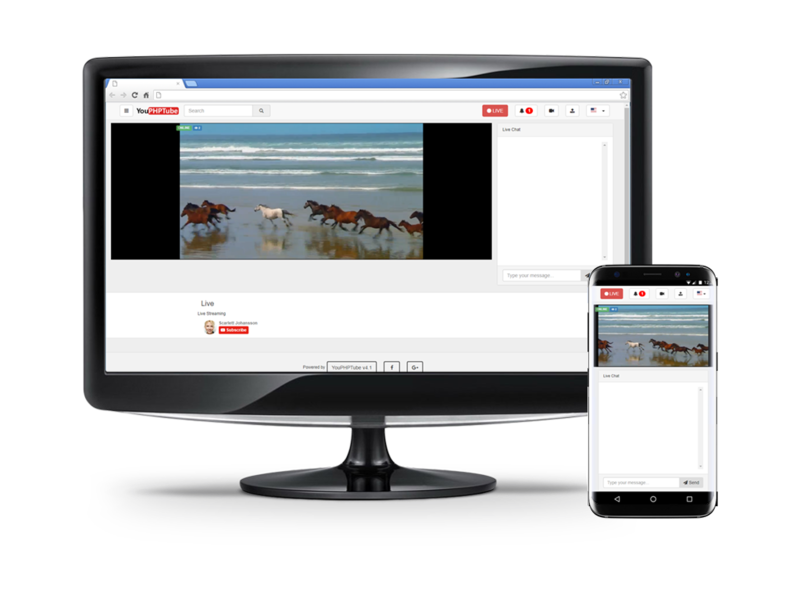 You can translate YouPHPTube to create translation files, translating from one national language to another while maintaining the original document format. Makes easyer YouPHPTube adds a specific feature to it's system enabling customization. AdSense (Google AdSense) is an advertising placement service by Google. 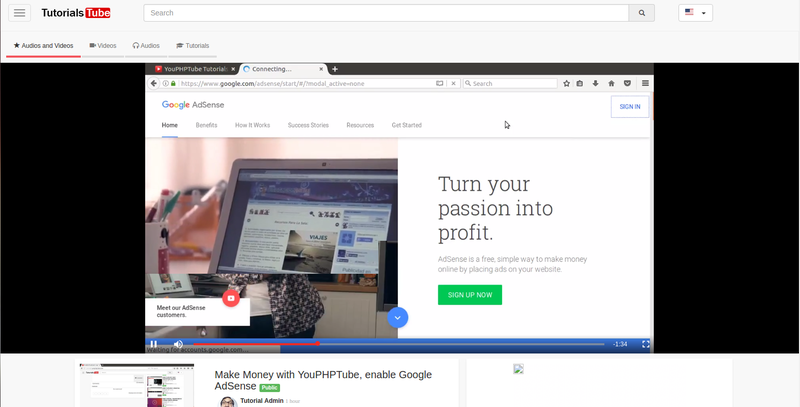 YouPHPTube is ready to help you earn money when site visitors view or click the ads. It work by delegating user authentication to the Google or Facebook. We provide you a NexFlix site sample. On this site you can subscribe (with real money on PayPal). this subscription will allow you to watch our private videos. user: test and pass: test. On this sample you can login, subscribe, like, dislike and comment. but you can not upload videos. We provide you a Demo site sample with full access to the admin account. You will need an admin password to upload and manage videos, it is by default. user: admin and pass: 123. I hope you dont change the users and passwords, but anyway I will reset it later in case you do. You can upload as many videos as you want, but everyday I refresh the server, We delete all videos and database and put a new one. Wow! Are you ready to download it? Let us install and configure your own YouPHPTube Stream Server for you, so you can focus on your business. We quickly get your server up and running, ready for Live Streaming. We use the latest HTML 5 and Crossbrowser scripts, to power up your site. Need not worry about doing seo for your app, it’s done already for you. We are trying to make the layout as similar as possible with youtube, with very few differences, we just can call YouPHPTube a YouTube Clone Script. I needed software like that, the best solution I found was to make one.